Black Diamond Experts is a Utah based electric, plumbing, heating and air conditioning company that serves the Wasatch Front and Park City. We have offices in Salt Lake City, Ogden and Orem. Black Diamond Experts was founded by Dan James as an electrical contractor in 2008. He started with only his tools, truck and trailer and one apprentice. He was working from a makeshift office in Pleasant Grove. The company centered on providing residential electrical services and highly specialized restaurant remodels. As more customers referred Black Diamond Experts to their friends and family, the company began to grow and serve more people along the Wasatch Front. Black Diamond Experts has grown to be one of Utah’s premier home service companies, employing over thirty full-time electricians, plumbers, HVAC technicians and an ample office staff. Your home deserves an expert! Our friendly licensed electricians, plumbers, and HVAC technicians will take care of your home or small business to keep you safe and comfortable. We are available 24 hours, 7 days a week to help you with any electrical, plumbing, heating and A/C emergency. Whether it’s a ceiling fan installation in your home, an air conditioner repair or replacing your plumbing fixtures in your bathroom, call Utah's home service experts today. We are prepared for the tough and technical jobs. You can be assured that when you call on one of our technicians to service the electrical, plumbing, or HVAC system in your home, they will do it right the first time. You’ll be glad you’ve called an expert.. From design to finish, our experienced technicians provide the expertise to ensure your home project is completed on time, on budget and up to code. Jacobsen Plumbing and Heating is a plumbing and heating specialist located in Park City, Utah. We offer a number of services including plumbing repairs and contracting, water softener installation, sprinkler installation, HVAC services and more. Give us a call today! 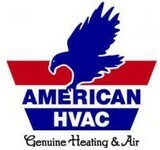 American HVAC offers superior quality heating and air conditioning service to Orem, UT and the surrounding cities. From furnace repair to new A/C installations, we cover it all in Utah. If you’re in search of the best services for HVAC Centerville, UT has to offer, count on Call Climate Services LLC. We are one of the leading local contractors for heating, ventilation, and air conditioning (HVAC) in Davis County. We take pride in our extensive experience, expertise, and overall top quality workmanship so you can rest assured you are talking to the right people. 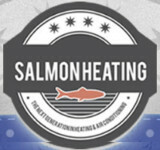 Salmon Heating & Air has been a professional, Utah licensed HVAC contractor for many years (State of Utah Contractors License: 8689286-5501). We provide both residential and commercial heating and air conditioning services throughout our service areas, and our team of Bountiful HVAC contractors are fully dedicated to quality and customer service. We are certified to supply and install Carrier HVAC equipment. Salmon Heating & Air also provides heating, air conditioning, and indoor air quality products from top rated brands like Bryant, Lennox, Payne, Honeywell, and Totalin. HVAC, Specializing in change outs on old units, and repairs. Also heat runs, air cleaners , humidifiers , UV lights. And new homes. Lee’s Heating and Air Conditioning of Salt Lake City provides expert services for residential and commercial heating, air conditioning and ventilation. Lee’s Heating and Air is Utah’s top source for furnace and air conditioning maintenance, repairs, installations, home automation and indoor air quality. Since 1930 we have been serving you, our valued customer by offering a professional and knowledgeable staff, who are expertly trained at working with all types of heating and air conditioning units. We are an authorized dealer for American Standard, Bryant, Tempstar, Lennox, Carrier, Coleman, Trane, and Rheem. 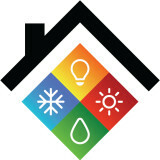 We provide full service plumbing, heating, radiant, solar and service all makes. We have been in business for over 60 years and pride ourselves in taking care of the customer to the full extent. Mountain AC and Heating is a dependable heating and cooling contractor in the Weber, Davis and Morgan counties of Utah. Their years of experience give them the expertise in their fields to really deal with your unit's problems the right way, the first time, whatever they may be! Generally, Herriman HVAC contractors or HVAC technicians work with or run companies that repair or install heating systems and air conditioning units for homes. But they have specialized services too. For example, if you are a wine collector and you are thinking of installing a wine cellar in your Herriman, UT home, you might hire an Utah HVAC professional who specializes in refrigeration work. HVAC professionals can use their skills to help you to save money on your Herriman, UT home’s energy bills by installing radiant barriers in your attic or split-zone heating and cooling systems to heat rooms like solariums while cooling upstairs bedrooms during warmer temperatures. If you or a family member suffers from allergies, you’ll want to find an Utah HVAC technician who is knowledgeable about the latest cooling and heating products that include antiallergen filters. Contractors who work in the HVAC industry keep up on the latest in heating and air conditioning technology so outdated or troublesome systems can be retrofitted with newer, more energy-efficient models. Some of these professionals may work with your contractor, builder or other home improvement professional to get the job done. Find HVAC contractors on Houzz. Look in the Professionals section of our website and search for Utah HVAC contractors. Read reviews and see how an HVAC contractor might approach your Herriman, UT home’s heating and cooling challenges.